ABC Remodelers is the Chicagoland Area’s Leading Home Remodeling Experts for over a decade! 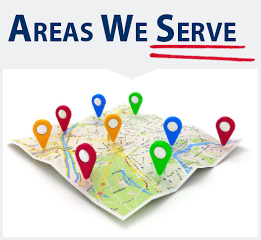 We are a full-service, owned and operated business serving the remodeling needs of homeowners throughout the Greater Chicago Metropolitan Area. Whether looking to have the interior or exterior of your home painted, new tiles installed in your bathroom or kitchen, plumbing or electrical work performed, or if you need other home remodeling services, our skilled contractors will provide you with a customized and cost-effective solution. We will arrive at your location on time with the required tools, equipment and material to properly get the job as quickly and skillfully as possible! At ABC Remodelers, our obligation is to produce exceptional work while using only the absolute best quality of materials to guarantee complete satisfaction. From your very first phone call to us to the finished remodeling job, you will find ABC Remodelers to be the best in the industry. No matter if a simple or complex or if a small or large remodeling project, ABC Remodelers has the finest contractors available to handle any type of remodeling job. Our specialized team of contractors are highly-trained, experienced and totally committed to the same principles of honesty, integrity and quality workmanship that has made us the leading Chicagoland area residential and new home remodeling service. Whenever deciding on a home remodeling contractor, it is vital the contractor has the skills, equipment, tools and quality material on hand to do the job properly. You can count on ABC Remodelers to show up at your home prepared and ready to do the best job! When owning a home, the interior and exterior will need renovations at some point, so your home can be maintained to like its new. This means you can always count on us to meet your specifications while keeping within your budget! From the basement to the upstairs or the inside to the outside, ABC Remodelers provides top notch remodeling to homeowners across the Chicagoland area. It won’t take you long to find out why countless homeowners have put their trust with their renovations in the hands of the leading renovation experts – ABC Remodelers. What are you waiting for, contact us today for a free estimate! Cary, Algonquin, Wheaton, Glenview, Arlington Heights, Evanston, Schaumburg, Elk Grove Village, Vernon Hills, Libertyville and more! For well over a decade, ABC Remodelers has been serving the entire Chicago and surrounding area comprehensive home remodeling and cleaning services to area residents. © 2017 ABC Remodelers, Inc. All rights reserved. Website design IBD Graphix.